San Diego, CA – It’s the age old question in business. “What does it take to get more customers?” In today’s world, getting new customers and keeping them takes a lot more than it did just a little over a decade ago, when there was no such thing as Google Adwords, Facebook or highly specialized online lead generation. But, with the help of WebHEAT, a lead generation company, specializing in lifecycle marketing combined with PPC management, these tried and true principles are easily translated into the next generation of marketing. What is lifecycle marketing? It is the lifeblood of any successful business. Lifecycle Marketing embodies a set of seven steps, with the first steps nurturing the efforts of the ones to come. WebHEAT helps businesses create a system, following this step-by-step process, to develop a sustainable marketing engine of continuous online customer growth. The steps begin with attracting traffic to the website through various Internet marketing techniques, such as email marketing, social media and Pay-Per-Click (PPC) advertising. The next step is to capture those leads and then nurture them, while beginning to building a rapport to convert those leads into sales. After the sale, the marketing steps don’t end, but carry through delivery and making sure the customer is completely satisfied. This is the time for the next step, which is to increase the upsells of the customer with supportive services or products. And, finally the last step is to generate referrals from each satisfied customer. One of the most important factors in the first step of attracting traffic to the site is the inclusion of PPC Management.  WebHEAT specializes in PPC management for their customers, believing that paying for traffic is the most consistent way to bring inbound leads, unlike SEO which has been criticized for its unpredictable nature or Social Media which may build interest and engagement but may not translate into sales. WebHEAT shows clients the most cost effective ways to generate leads online using a combination of PPC techniques, such as Google Adwords, text ads and banner advertising. For those already using PPC, WebHEAT can help businesses meet customer expectations, achieve professional PPC Account Optimization, and reduce PPC costs while keeping conversion rates steady and maximizing Return on Investment. In 2008, Brad Slavin founded WebHEAT in an effort to bring cutting-edge conversion rate optimization and online marketing strategies to San Diego County. He has a comprehensive blend of experience and education, in strategy and operational follow-through in online technologies, making him the trusted choice for guiding businesses through the complex world of Internet marketing.